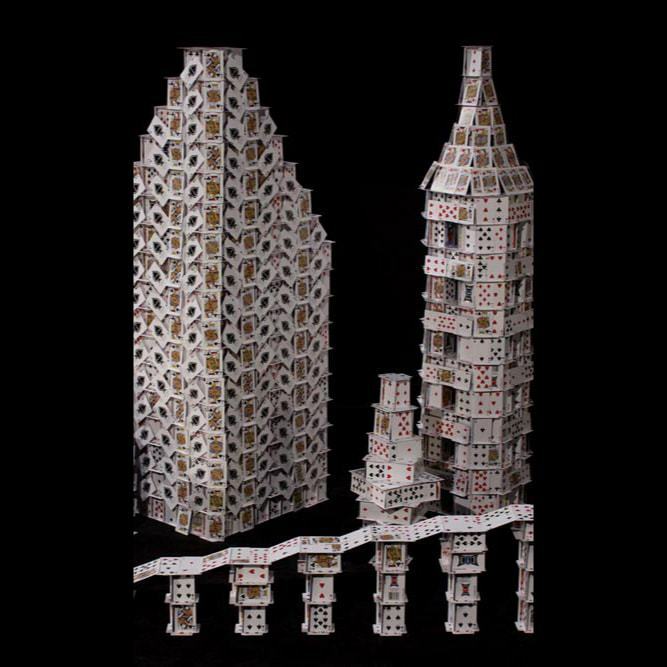 Everyone has tried - at least as a child - to build a proper house of cards - with more or less success. Mostly the limits were quickly reached even with a lot of patience and a steady hand. 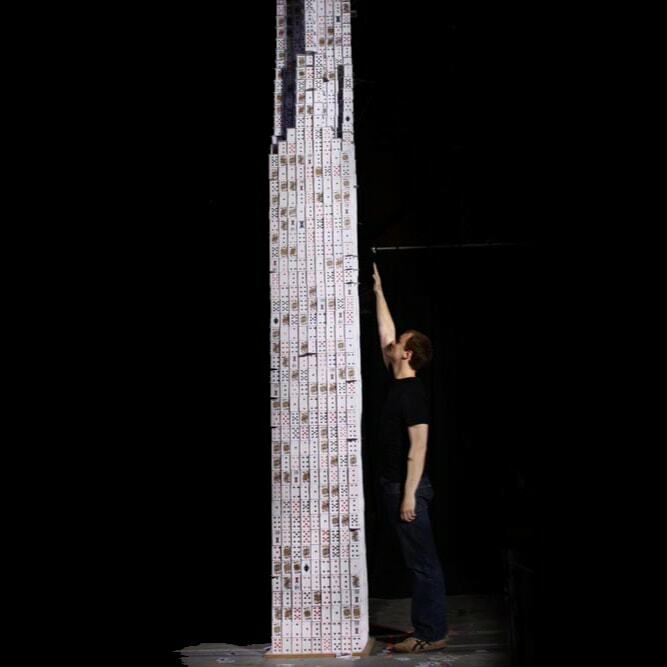 Our cardstackers try again and again to exceed limits and set new benchmarks. With their many years of experience, they manage to realize even the most difficult demands - with no means. 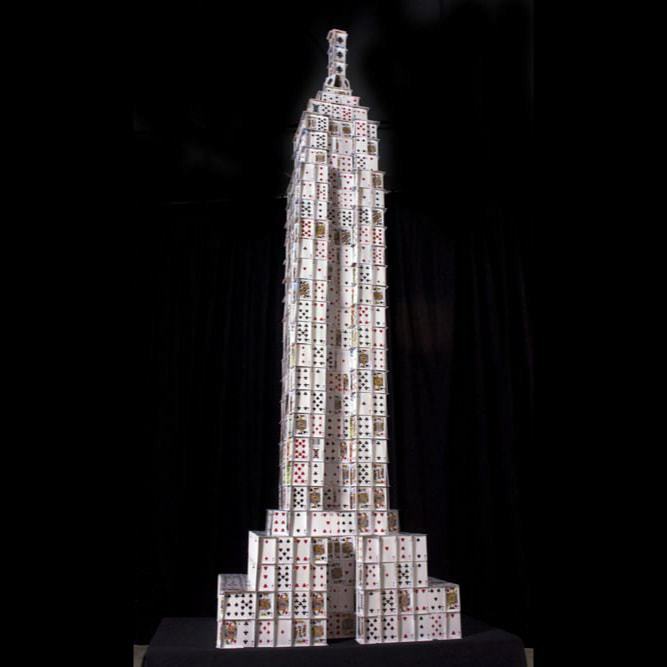 Professional card houses as a live act in a shopping center, at your stand at the trade fair or, of course, in the casino: The fascination of your audience is assured. 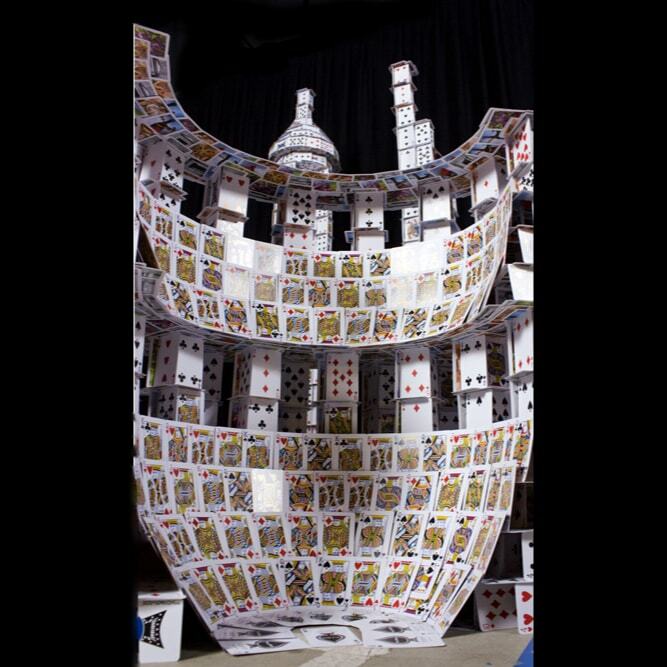 But a house of cards is also great as a visual or video clip for your product promotion. Whether replicas of existing buildings, fantasy figures or new country or world records - almost everything is possible.